AT&T and Verizon are slowly trickling out the next generation of wireless networks, known as 5G, in parts of a few cities. But even as the major carriers prepare larger 5G launches, San Francisco based startup Common Networks is hoping that it can compete with bigger telecom companies by combining 5G with technology open sourced by Facebook. Common Networks is using 5G to offer home, as opposed to mobile, broadband, essentially competing with internet providers such as AT&T and Comcast. In the city of Alameda, next to Oakland, it has been quietly using a core 5G technology, millimeter wave, to deliver speeds of 1 gigabit per second, equivalent to Google Fiber’s signature home broadband service, for $50 a month. These sorts of wireless speeds aren’t unheard of. Webpass, a company Google Fiber acquired in 2016, offers gigabit wireless in several cities. But Common Networks CEO Zach Brock thinks his company has found a way to build 5G networks more quickly, and cheaply, than the competition and says the company plans to expand quickly. “We want to bring faster internet to everyone,” he says. 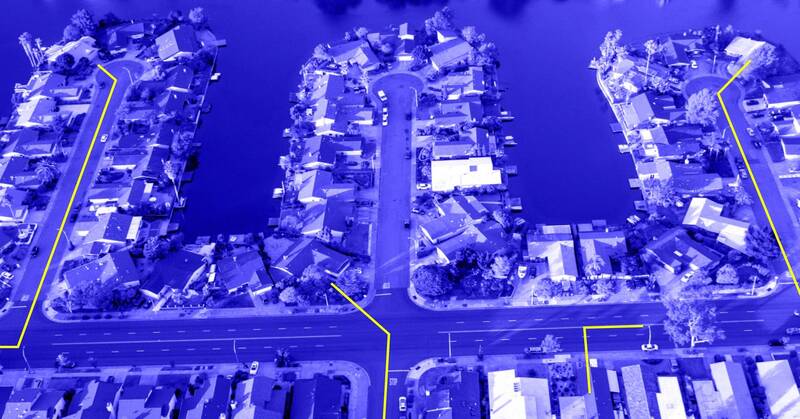 Common Networks revealed Monday that its millimeter wave service in Alameda relies on Terragraph, a hardware design Facebook open sourced as part of its Telecom Infrastructure Project. Facebook has been working with carriers around the world to test Terragraph, but Common Networks is among the first to use the technology to deliver internet connectivity to customers in the US. Millimeter wave services can offer fast speeds by tapping into less commonly used high-frequency parts of the wireless spectrum. But these high-frequency signals are easily blocked by barriers like walls and trees. To work around this, carriers anticipate building lots small cell towers, some as small as smoke detectors, that carry signals across relatively short spaces instead of massive cell towers that blanket entire regions with wireless connectivity. One of the big things holding back 5G in the US is the need for more fiber-optic cable infrastructure to act as the “backhaul” between these smaller cell towers. Terragraph, first announced in 2016, aims to reduce the need for fiber-optic lines by letting these smaller cells connect to each other. In practice, this means that instead of running a new fiber-optic cable to, say, an apartment building it hopes to serve, Common Networks the company can instead place a Terragraph device on the building’s roof. That gadget will provide wireless connectivity to the building by connecting to other nearby Terragraph devices. Terragraph doesn’t eliminate Common Networks’ need for fiber-optic backhaul—one of those nearby Terragraph devices will need to be connected to fiber. But it reduces how much infrastructure the company needs to deliver service. In addition to cutting infrastructure costs by tapping wireless backhaul whenever possible, the company relies on parts of the wireless spectrum that can be used without a license from the Federal Communications Commission, and uses inexpensive, commodity hardware. Brock likens it to the way web giants like Google and Facebook built their businesses. Instead of paying for expensive computers and storage devices, the companies stitched together hundreds and then thousands of cheaper servers to build enormous distributed computing systems. Brock sees Common Networks’s decentralized networks in much the same way. The big question is whether it will be enough. Any company can use open source hardware and software, including the big guys.